Have you ever wondered how you’ll keep the weight off once you get to your goal weight? 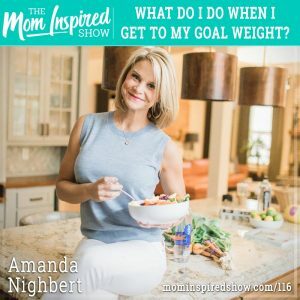 Today we have Dietitian Amanda Nighbert back on the show for part four of our “Lean with Amanda Nighbert” series. Join us as we talk about maintenance tips that’ll help you successfully keep the weight off! Tired of dieting only to gain it all back? Find out how to keep that weight off for good!